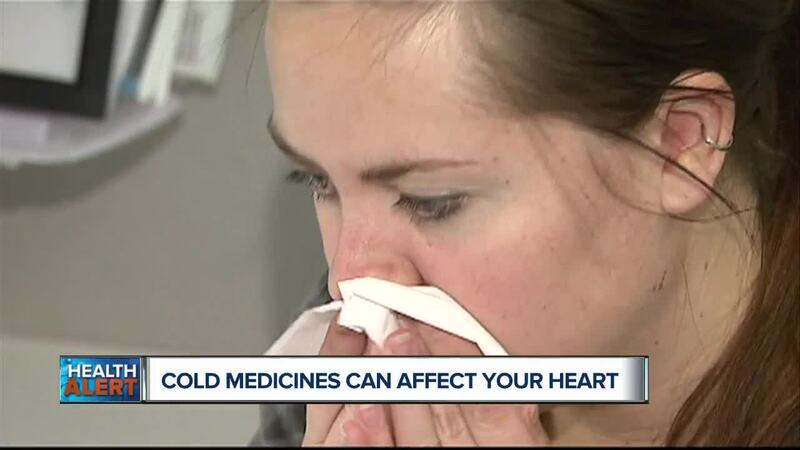 Ask Dr. Nandi: Is that cold medicine in your cabinet raising your blood pressure? If you’re fighting a cold, you may want to skip over-the-counter cold medicines. The American Heart Association warns that some may have a negative impact on your heart Winter colds are definitely circulating and making lots of folks feel absolutely miserable. And no one wants to constantly cough, sneeze or blow their nose all day long. Winter colds are definitely circulating and making lots of folks feel absolutely miserable. And no one wants to constantly cough, sneeze or blow their nose all day long. But before you reach for relief, it’s important to know that some common cold and flu medications contain decongestants and NSAIDs - nonsteroidal anti-inflammatory drugs. So how could these affect your heart? Well, the American Heart Association says that these drugs could increase your blood pressure. And this could be dangerous for those who have high uncontrolled blood pressure or heart disease. Because it could potentially raise the risk for a heart attack. When you take decongestants like pseudoephedrine or phenylephrine, their job is to constrict blood vessels so less fluid gets in and clogs up your sinuses. Now this may provide you with some relief, but constricting blood vessels can also increase your blood pressure and your heart rate as well. And the concern is not just for those with existing cardiovascular issues. Research has also found that roughly 5 percent of people who were considered healthy ended up with higher blood pressure when taking these drugs. There are other options out there. You can try oral antihistamines, a decongestant nasal spray, nasal saline, or medications that contain acetaminophen. If your symptoms are mild, I’d suggest you try to avoid medications and get plenty of rest and fluids. That can really help with body aches and clearing out mucus. But if you feel like you really need to take decongestants or NSAIDs, I would recommend you talk to your doctor first. And I know I often say this, but the best way to stay healthy and avoid getting sick is by washing your hands. Please do this often with soap and running water.